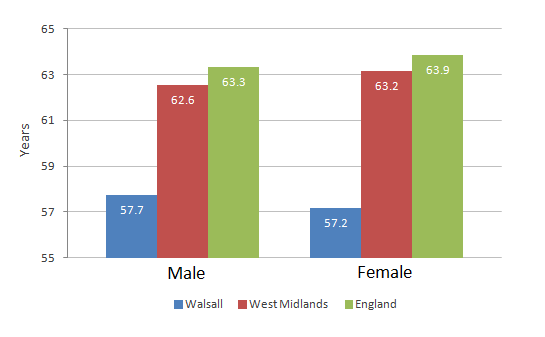 As of the 2011 Census, there has been a significant increase in the level of ethnic diversity in Walsall over the past decade. While 'White British' remains the largest single group, at 76.9%, the number of residents from a minority ethnic group has risen to almost 1 in 4 (23.1%). 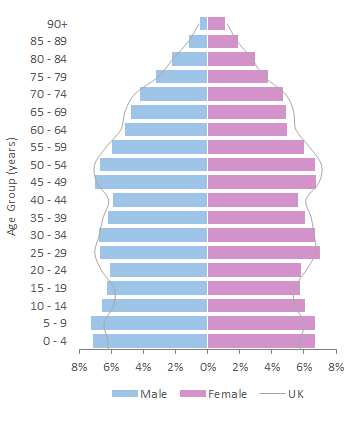 Life expectancy at birth is a good indicator of the health of a population. 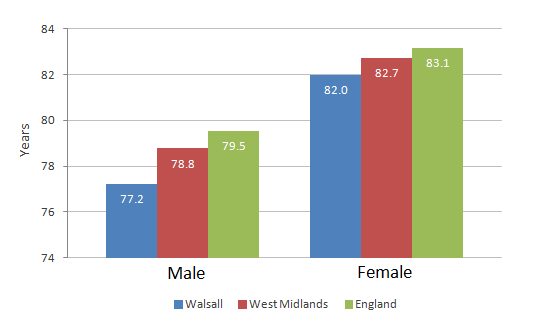 In Walsall life expectancy is higher in woman (82) than men (77.2). Walsall residents are employed across all different types of occupation. The greatest number work in skilled trades occupations, accounting for 13.7% of those who are economically active and higher than the 11.5% across England and Wales overall. 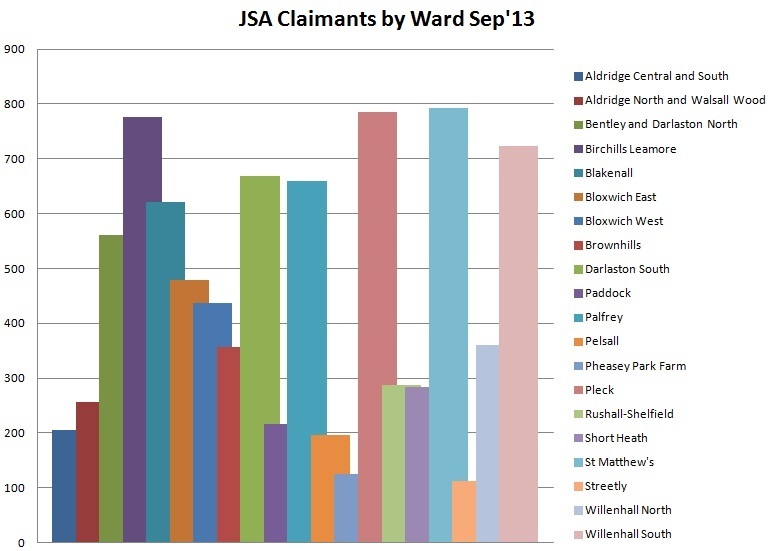 6.0% of the working age population claim Jobseekers Allowance (Dec 12). Walsall has 535 green spaces covering over 2,160 hectares which makes up nearly 25% of the total area of the Borough. Much of Walsall’s green space is natural and semi-natural which accounts for 45% of all green space by area. 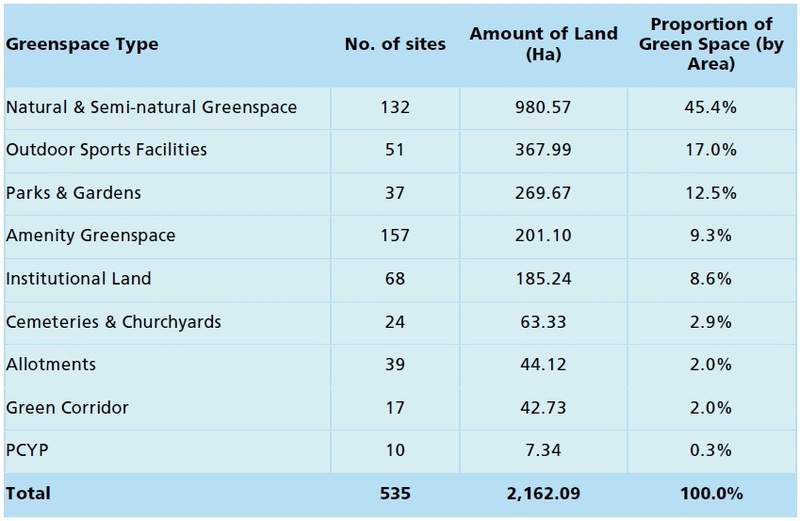 Parks and Garden cover over 200 hectares, nearly 13% of all green space by area.